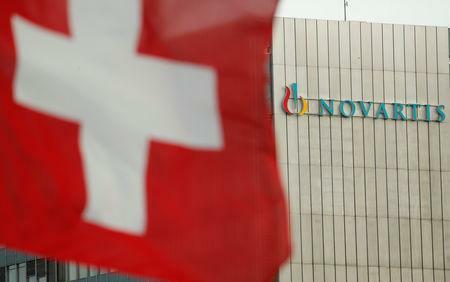 NEW YORK (Reuters) - Novartis AG must face a U.S. government lawsuit accusing it of paying millions of dollars in kickbacks to doctors so they would prescribe its drugs, after a federal judge ruled in a decision released on Monday that the government had offered evidence of a "company-wide kickback scheme." "We are disappointed in today's decision and look forward to presenting our case at trial," Novartis spokesman Eric Althoff said in an email. "We continue to believe that the government has insufficient evidence to support its claims." Those kickbacks included speaking fees for doctors at "sham" educational events, the lawsuit said, with one doctor being paid to speak at his own office eight times. The company also treated doctors to lavish meals, including a $9,750 dinner for three at a Japanese restaurant, according to the lawsuit. In October 2015, Novartis agreed to pay $390 million to settle claims that it paid rebates to speciality pharmacies to push two of its drugs, without admitting wrongdoing. More sunshine on Easter Monday - but is it good for business?